The transformation of a caterpillar to a butterfly takes place in the chrysalis or pupa. 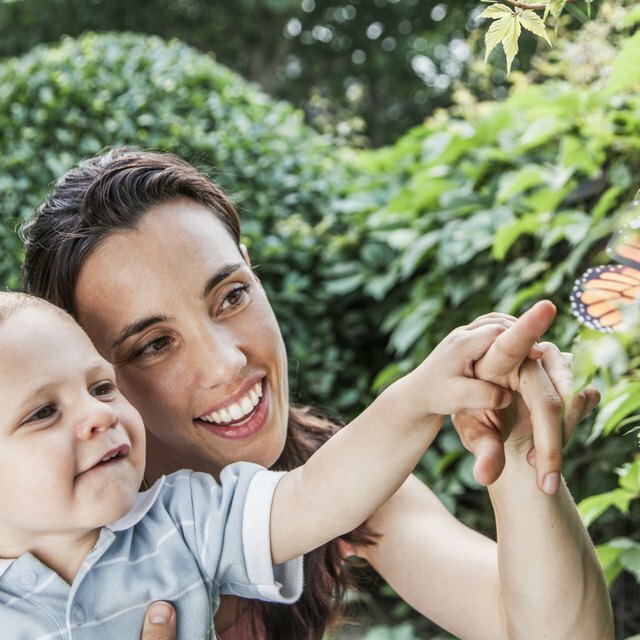 Butterflies goes through a life cycle of five stages: egg, larva, pupa and adult. Inside the chrysalis, several things are happening and it is not a “resting” stage. The caterpillar’s old body dies inside the chrysalis and a new body with beautiful wings appears after a couple of weeks. Inside the chrysalis of a butterfly, a caterpillar's body turns to liquid form and it is rebuilt as a butterfly. A caterpillar spends most of its time eating. 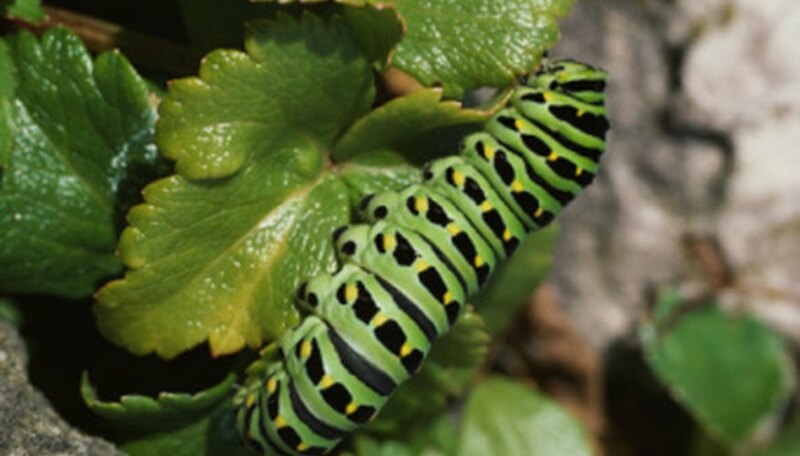 Hormonal changes occur and the caterpillar loses interest in feeding. When it is time to become an adult, it finds a sheltered safe spot where it transforms itself. The transformation or metamorphosis starts when the caterpillar spins a little silk pad. Some chrysalis hang upside down but others support themselves on tree branches or create a silk hammock. The change inside the chrysalis is slow and gradual. The caterpillar’s body digests itself from the inside out.The caterpillar is attacked by the same sort of juices that it used in its earlier life to digest food. Many of the organs are hidden in the caterpillar and they take a new form within the chrysalis. The old body is broken down into imaginal cells but not all the tissues are destroyed. Some old tissues pass onto the insect's new body. One imaginal disk will become a wing and there are imiginal disks that form the legs, antennae and the other organs of the butterfly. During the first three to four days, the chrysalis is a little bag filled with rich fluid. The cells use the fluid to grow and form a new body. Imaginal cells are undifferentiated and they can become any type of cell. Some parts of the caterpillars’ body are more or less unchanged, including the legs. Underneath a caterpillar’s skin the beginnings of wings form before it sheds its skin for the last time. Inside the chrysalis, the butterflies’ wings are fully formed. A butterfly's sucking mouth parts are formed from the caterpillar's chewing mouth parts. 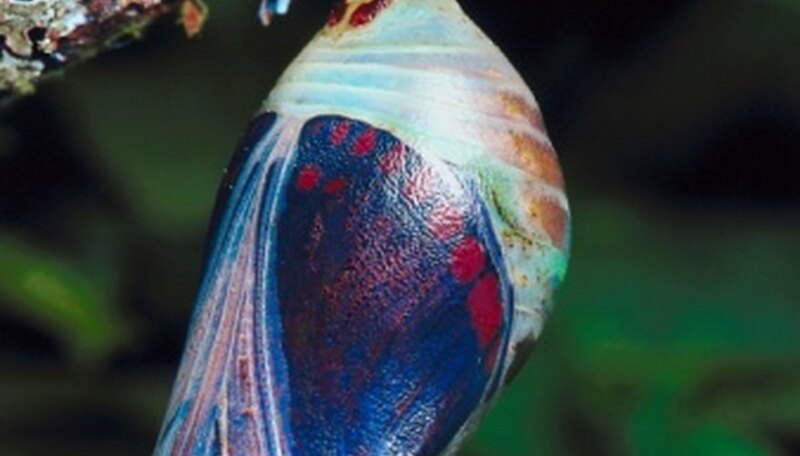 The chrysalis loses nearly half of its weight because the metamorphosis consumes energy. During the transformation, the chrysalis cannot excrete or defecate. The waste products accumulate and there is nitrogenous waste that can be seen as a reddish-colored liquid under the butterfly after it emerges. Complete transformation takes about two weeks. Some species survive the winter in the chrysalis and the transformations take a couple of months. Moths goes through the same transformation but they form a cocoon instead of a chrysalis. A butterfly cocoon is a silk covering of a chrysalis. A couple of days before the butterfly emerges, the chrysalis changes color, The butterfliy's patterns and color can be seen though the chrysalis. The butterfly breaks out of the protective chrysalis and pumps blood into its newly formed wings. Then it flies away. Asa Jomard began her career as a freelance writer in 2008. Her work has appeared in print and online publications, including Baby Corner. Jomard holds a Bachelor of Social Science in psychology from Umea University, Sweden, as well as a degree in counseling from the Australian Institute of Professional Counselors. How Long Does a Butterfly Stay in a Chrysalis? How Does a Caterpillar Build a Cocoon? Jomard, Asa. "What Happens Inside the Chrysalis of a Butterfly?" Sciencing, https://sciencing.com/happens-inside-chrysalis-butterfly-8148799.html. 20 July 2018.